This ranks as a special absurdity given the WHO's hiring a consultant in next-door Syria who is connected to the very pinnacle of the Assad regime, even as it perpetrates atrocities estimated at a half million dead and 12 million displaced (out of a total pre-war population of 22 million). Conversely, both the wife and brother-in-law of Mahmoud Abbas, leader of the Palestinian Authority, whose status and wealth assures them treatment anywhere in the world, chose to be treated in Israeli hospitals, as did the sister, daughter, and grand-daughter of Ismail Haniyeh, the Hamas leader in Gaza, Israel's sworn enemy. 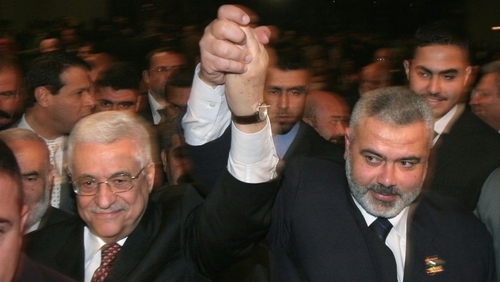 Mahmoud Abbas (L) and Ismail Haniyeh (R), pictured in March 2007, both had close relatives go for medical treatments in Israel. So, Iceland (with effectively no Muslims) voted for the amendment against Israel while Turkmenistan (which is over 90 percent Muslim) did not. Cyprus and Greece, which have critical new relations with Israel, voted against Israel while the historically hostile Libyans missed the vote. Germany, with its malignant history, voted against Israel while Tajikistan, a partner of the Iranian regime's, was absent. Denmark, with its noble history, voted against Israel while Sudan, led by an Islamist, did not. 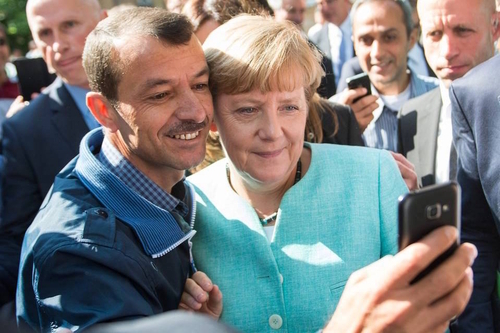 Angela Merkel, the ostensibly right-wing chancellor of Germany, lets a refugee in Berlin take a selfie with her. 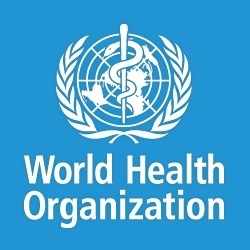 June 14, 2016 update: To my surprise, the minor WHO vote discussed above is the also topic of an oped in the Wall Street Journal, "Guess Which Country the U.N. Decries Now: As Zika spreads, the World Health Organization puts Israel under the microscope." Janice Halpern, a Canadian psychiatrist, notes the absurdity of going after Israel at this time: "With the Rio Olympics only two months away, the Zika virus has become an international public-health emergency. Ebola's embers still glow in West Africa, and yellow fever besieges Angola."